Self-love isn’t some hippie term with no real substance. 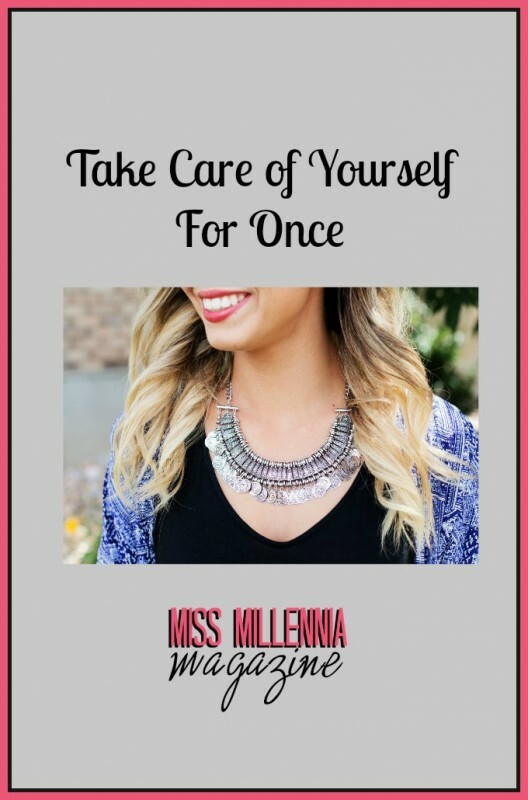 Taking care of yourself is one of the most important pursuits. Somewhere along this crazy millennial timeshift, women have discovered that they have an obligation to themselves. Not just “I should take care of myself as well as others,” a begrudging obligation (that isn’t honest) but an awakening of sorts that leads to the epiphany of I deserve to be happy. I have the power to make this happen. Allowing yourself to be happy and filling your life with the pleasures you most enjoy is a step to maturity. You have to remember that you cannot please everyone, and you must take care of yourself for once, as well as others. Some women have the natural disposition of others before me, which is so admirable. But sometimes, these generous and hospitable sisters, partners, mothers, and friends find themselves lost in the deep trenches of family care and work. If you stopped such a woman on the street and asked, “Are you happy?” what would her answer be? Not to say that these women are not glad for families and jobs – they are some of the greatest blessings. But toiling without a thought to what you truly want erodes your mental health and personal identity. Why are we doing things that make us miserable, and why are we investing our precious time with friends who don’t challenge us or build us up? We have to learn to take care of ourselves by sometimes refusing what seems like the easy choice – staying in the same circle of friends or keeping the same mundane job – and choosing what makes us happy. Leaving the comfort of long relationships and career commitments take courage and honesty, but we’ll be doing ourselves enormous favors when we stop living in a never-ending, monotonous routine of shallow conversations and boring nights at home. Reinvigorate your life with what makes you smile. The simplest break from the pattern, like getting lost in a book or taking a day off to pamper yourself, might just lead you to bigger ideas about what you truly want, or what’s hindering your happiness. The obligation is a necessary thing; it makes us responsible and reliable. But sometimes we are slaves to our obligations when in reality they require little from us. Ditch the obligations and you’ll be surprised how easy it is to live without them. Allowing yourself some personal time isn’t selfish – if anything, it makes you a more committed friend, mother, or colleague. You have to invest in yourself to be truly useful to others.